Is Sandra Orangutan A Person And More Free? No, She Is Not. The case of andra-orangutan-declared-a-pe-899018745.html">Sandra Orangutan, who still languishes in the Buenos Aires Zoo, continues to be a mystery. Below is an update from Steven Wise, who heads the Nonhuman Rights Project (NhRP; for more on Sandra, please see also, and). Clearly, many others, including myself, jumped on the bandwagon based on an incredible global media blitz, assuming the case of Sandra was signed, sealed, and delivered. It is not and remains rather murky. I've been asked the following questions by a number of people, and now the answers to these questions, based on discussions with Mr. Wise and others, appear to be more firmly established. 1) Is Sandra still in the Buenos Aires zoo? Yes 2) Does anyone know if and when she will leave the zoo and go to a sanctuary? No 3) Does the action taken on her behalf mean that the zoo has to release her to a sanctuary? No 4) Is the case of Sandra sort of like window dressing and her status under Argentine law really has not changed? It appears the answer may be "yes." It's possible that the lower court could end up taking some kind of animal welfare action, cruelty perhaps. And, even this step could take a long time. Sandra's case is a work in progress and erring on the side of caution seems to be the best advice for now. We can only wish her and other non-human beings (animals) the best of luck in the future. 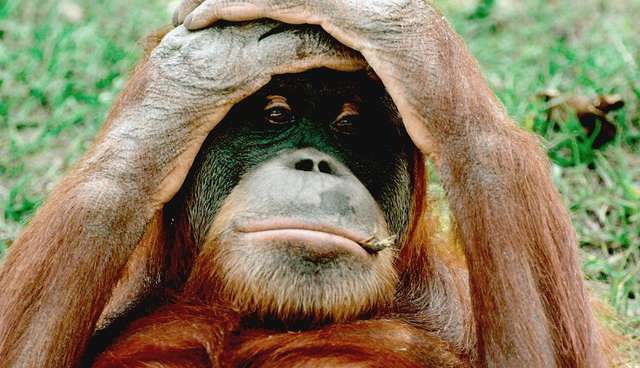 In the matter of the Argentina case of Sandra the Orangutan, the plot thickens. On December 24, 2014, I wrote that The Nonhuman Rights Project has been eagerly following the Dec.18 appellate court ruling concerning Sandra the orangutan, as the initial media reports had been expansive. But when we downloaded the decision from the court's website and had it translated from the Spanish, we saw that none of the quotations reported by the media were actually a part of the decision, and that the court did not appear either to have issued a writ of habeas corpus or to have ordered Sandra moved to a sanctuary. The most interesting phrase to us in the case was: "... it is necessary to recognize the animal as a subject of rights, because non-human beings (animals) are entitled to rights, and therefore their protection is required by the corresponding jurisprudence." But we noticed that it was not followed by citations to cases or statutes, but only to two treatises. No examples of rights to which nonhuman animals in general, or Sandra in particular, are entitled were given. I noted that the NhRP is sensitive to the difficulties involved in understanding a judicial decision that is not written in English and that comes from a Civil Law jurisdiction about which we know little. I did not then add, but do now, that a handful of decisions exist in the United States in which the court states that nonhuman animals have rights. But when the NhRP reviews the examples of rights these courts say nonhuman animals possess, they turn out not to be rights at all. I said we would have to wait and see what it all meant in Argentina. Recently I received emails from Prof. Dr. Benito Alaez Corral of the Department of Public Law at the University of Oviedo in Spain, who said that, after communicating with colleagues in the Argentina judiciary, he could assist us in understanding better what occurred. He said that, to understand the case's significance, we had to understand which Argentine courts have what powers and know that the appellate court that decided the Sandra case had remanded it to the criminal court of the city of Buenos Aires, according to a specific statute, Act Nr. 26.357. That statute transferred some judicial powers from the so-called national judiciary, which is part of the Federal judiciary, to the Judiciary of the City of Buenos Aires, which is part of the provincial judiciary. He continued. Among the transferred powers the Judiciary of the City of Buenos Aires has is the power to decide criminal matters involving the animal mistreatment Law, Act Nr. 13.944. While the provincial court has the power to issue writs of habeas corpus under the Argentine Habeas Corpus Act, it lacks the power to issue writs of habeas corpus under Act Nr. 26.357, which happens again, to be the statute the appellate court invoked when sending the case back to the provincial court. It therefore appears that the provincial court which now has Sandra's case lacks the power to issue a writ of habeas corpus on her behalf. It does have the power to treat the matter as a regular animal mistreatment case. Finally, he said that the statement by the appellate court about animals in general having rights is what we lawyers call dictum, which is a nonbinding statement that is unnecessary to appellate court's decision of the case. I doubt this will be our last word on the subject. But it reflects our best understanding of what occurred at this time. Stay tuned. Good luck and blessings to Sandra. She needs all the help she can get, as do countless other animals whose cognitive and emotional capacities are ignored despite scientific data that clearly show they endure deep suffering and death because of intentional abuse by humans.